By the age of nine, Bill Maynard was earning more than his father performing in clubs and on the variety circuit. Before he was 30, he was the country’s highest-paid stand-up comedian, but came close to bankruptcy when he decided to become a serious actor. Having started out as a child performer singing in working men’s clubs, he went on to find fame on television in a career that saw him continuing to act into his 80s. Born in Heath End, Surrey, he followed his idol George Formby into showbusiness and by 1953 was resident comic at London’s Windmill Theatre and had made his television debut in Henry Hall’s Face the Music. While a Butlin’s Redcoat in Skegness, he met Terry Scott, with whom he paired to considerable success on television in Great Scott, It’s Maynard (1955-56) before striking out on his own in Mostly Maynard in 1957. The same year, he finished fourth in A Song for Europe, the competition to find Britain’s Eurovision Song Contest entry. Guest appearances aside, he all but abandoned television to focus on theatre, moving between regional reps and the West End. He formed a close partnership with Nottingham Playhouse, where he was seen as Grumio (The Taming of the Shrew, 1962), Bottom (A Midsummer Night’s Dream, 1967) and in two David Brett plays: The Mayor of Zalamea (alongside a young Ian McKellen) in 1964, and Saturday Night and Sunday Morning, directed by Frank Dunlop, which transferred to London’s Prince of Wales Theatre in 1966. His portrayal of Charles Dickens in Michael Darlow’s one-man show, A Face for All Occasions, in 1970 was described by The Stage as “a tour de force” and he was seen at London’s Royal Court Theatre in John Antrobus’ Crete and Sergeant Pepper in 1972. The 1980s were marked by variety on stage for Maynard. Notable performances included the booze-laden Frosch in Opera North’s 1983 revival of Die Fledermaus, Peter Terson’s Strippers (Phoenix Theatre, London, 1985), JB Priestley’s When We Are Married (Whitehall Theatre, London, 1986), Daddy Warbucks in Annie (Richmond Theatre, 1986), God in the Dartford Mystery Plays (1988) and the irascible title role in Harold Brighouse’s Hobson’s Choice at Perth (1988) and Blackpool (1989). He made his Chichester Festival Theatre debut in 1990 as Falstaff in The Merry Wives of Windsor and a decade later directed Aladdin in Southport. On television, he was memorable in Dennis Potter’s Paper Roses (1971) but will be best remembered as the titular accident-prone savant in Alan Plater’s Oh No, It’s Selwyn Froggitt (1974-77) and its sequel, Selwyn (1978), Graham White’s The Gaffer (1981-83) and as the roguish comic relief Claude Greengrass in period-police drama Heartbeat (1992-2000). He reprised the role in the spin-off hospital drama The Royal in 2003. In 1984, he came fourth in the Chesterfield by-election when he stood as an independent Labour candidate against the party’s official nominee, Tony Benn. He retired from acting after a series of strokes to present a weekly programme on BBC Radio Leicester from 2003-08. He published two autobiographies: The Yo-Yo Man (1975) and Stand Up… And Be Counted (1997). 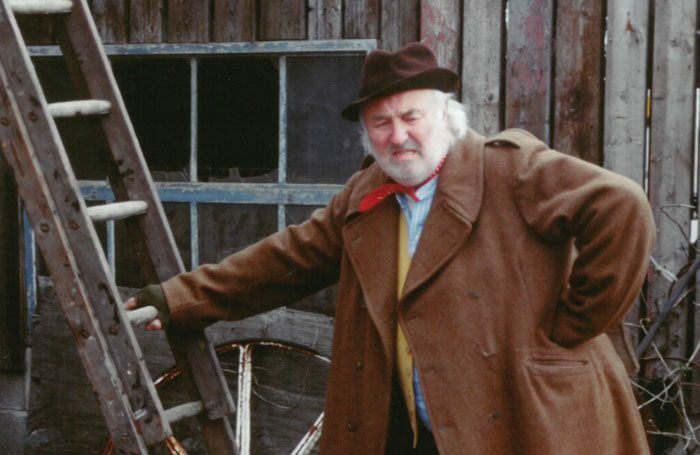 Bill Maynard was born Walter Frederick George Williams on October 8, 1928, and died on March 30, aged 89.